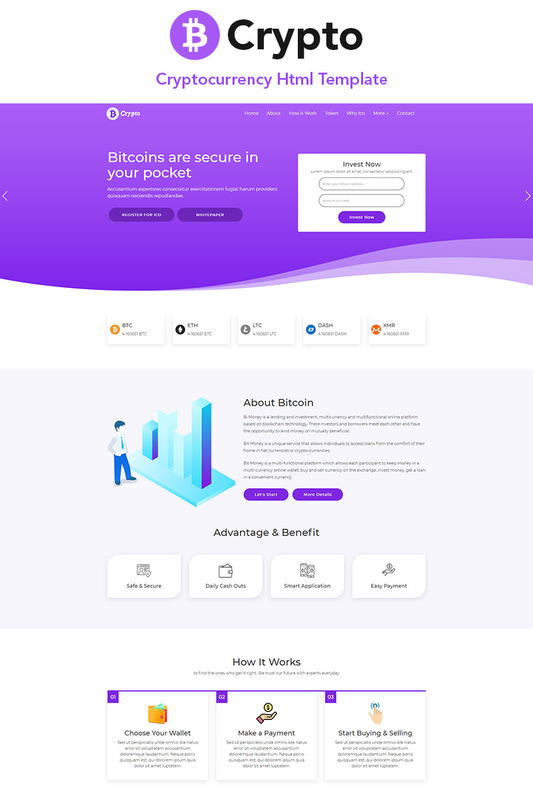 B-Crypto Cryptocurrency HTML Template– suitable for affiliate marketing, digital currency, crypto currency, share market, finance, business, corporate, consulting, also for any business. This template it's special and professional blog ideal for solve any your problem. It's theme totally responsive and has great flexibility, this is easy to edit and customize to fit your needs., so it the ideal solution for creating unique web projects.